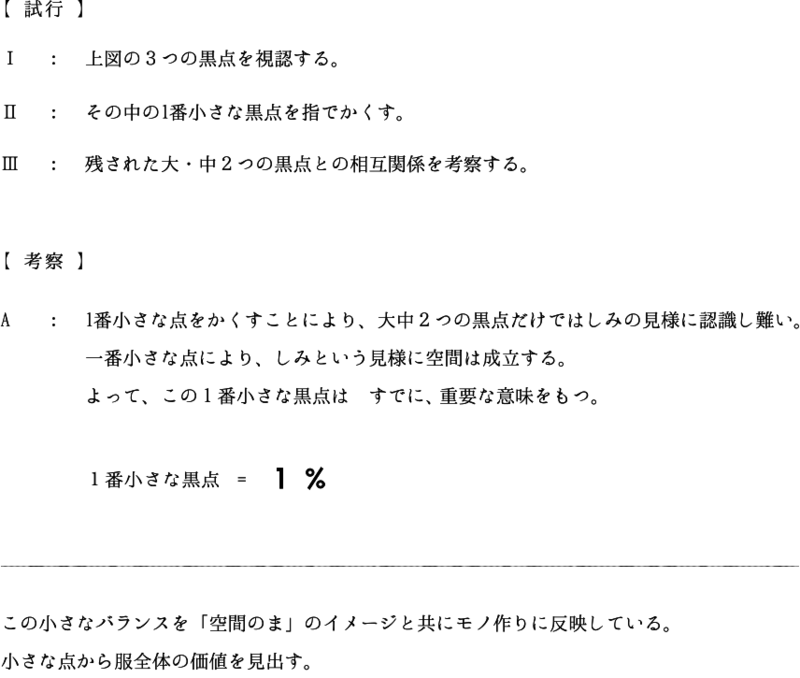 Ⅱ: Cover the smallest BLACK spot in three with your fingers. 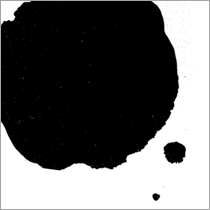 Ⅲ: Look at the mutual relationship between the two remaining BLACK spots. between two BLACK spots dosen’t come into existence. Therefor, the small point has an important meaning. and our craftmanship is reflected in it’s roots. We do not make compromise even 1%. We belive that it is a reason of worth of clothes.